Like sunflower, orange has loving bright and cheerful color which make it popular painting subject of many artists. 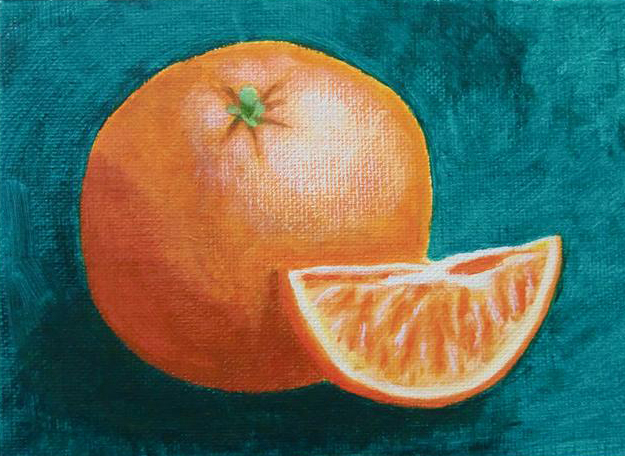 Below is my first orange in acrylic. I am still struggling with the shading and transition area. I feel like my orange is floating in the air instead of sitting on a table.